The retail industry has been in a constant state of flux in the 21st Century. On one hand, the retail apocalypse continues, with 2018 seeing more store closures for brick-and-mortar retailers. On a more positive note, however, other retailers are proving immune to these trends. Innovative businesses are not only surviving, but thriving, in the current climate. Let's take a look at some predictions for the retail industry in 2019. 2019 is shaping up to be another year of innovation and consolidation, as retailers learn to balance traditional business practices with modern technology. From data privacy to micro-brands, these are going to be some of the most important retail industry trends for 2019. Data was all over the airwaves in 2018. High-profile data breaches and illicit use of consumer information has put everyone on edge about the ways their personal information is being used. Consumer data is essential for making personalized recommendations, however. Personalization remains an important trend in digital marketing but it needs to be handled correctly. Zero-party data is when a consumer shares their info with a particular retailer. It's essentially an updated version of the guarantee that a retailer won't sell your info to a third-party. A recent report proves these two things need not be mutually exclusive. Digital marketing and eCommerce have made it more feasible for new brands and businesses to hit the market without making a major investment. This is giving rise to a new class of boutique retail businesses. 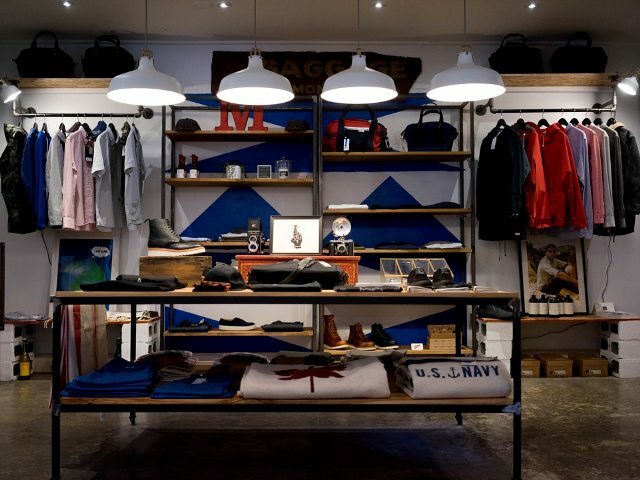 Retail Dive reports that native digital businesses plan on opening 850 stores in the next year. Larger retailers plan on opening 7,000, in contrast. Pop-up shops could be seen as a by-product of the rise of micro-brands. Retailers don't even need to have a permanent storefront, at this point, to have a popular and successful brand. Micro-brands are changing the face of retail in every conceivable way. Even Big Box retailers are being affected, as they're forced to compete against smaller, more efficient, more competitive brands. Consider the rise of micro-warehousing. Even large retailers like Walmart are incorporating scan-and-go technology and downsizing their floor staff. Considering the prevalence of self-checkout, we're going to see even more of this retail trend in the next few years. It's still early in the game of 2019, but retail stocks have been trending upwards so far. Some traditional retailers like The Gap are making smaller gains. Others are performing healthily, like the Ascena Retail Group, with a nearly 15% increase in the New Year. If you're looking for other stocks that are performing well but don't cost an arm and a leg to buy in, read up on Under Armour buy or sell. Things are finally turning around in the retail sector. There are a lot of opportunities for savvy retailers when you approach them in the right way. Looking For More Business Advice? We've got everything you need to flourish in business while on a budget! From digital marketing to SEO best practices, we're here to remind you don't need to be rich to be successful! If you're looking to be successful in the retail industry, check out our list of ever-expanding retail articles and learn to thrive in today's evolving business world!